All set to save the mother Earth! 25-27 April 2014. DJJS Gwalior. 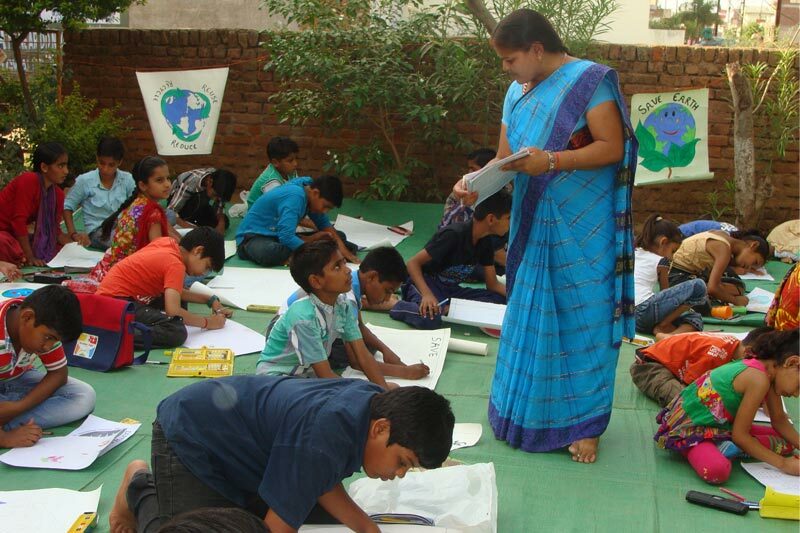 My earth my responsibility, was one voice of hundreds of men, women and children of Gwalior who participated in the 3 day awareness generation workshop organised by DJJS Gwalior to mark Earth day 2014. 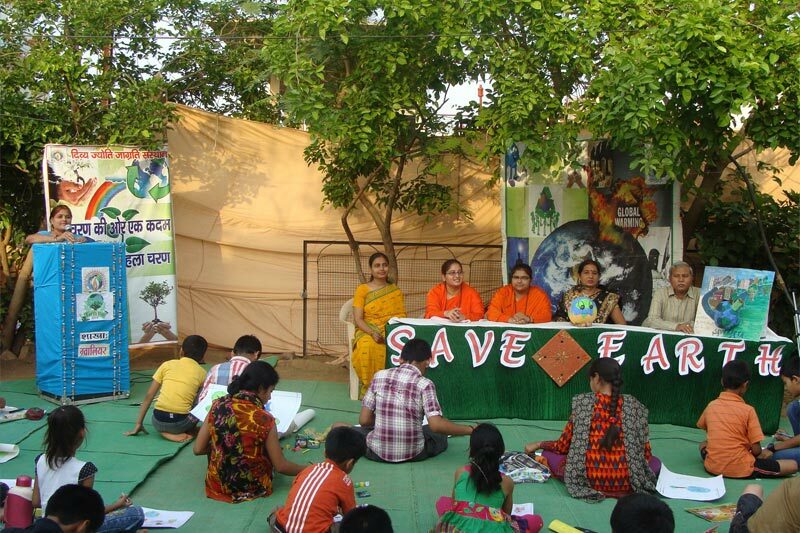 The 3- day workshop was a part of the PAN India- “Save Mother Earth Initiative” led by Sanrakshan -The Nature Conservation Program, of Divya Jyoti Jagrati Sansthan. Mr. Shiv Singh Bhadoria, Principle of Govt. Middle School, Banmore, was the chief guest for the program. Lack of awareness on environmental issues stands as the major roadblock in conservation of earth and its precious resources. The 3 day awareness generation workshop, aimed at bridging this knowledge gap. “Mother earth has fed and nourished life since time immemorial, but today the mother herself stands plundered and impoverished”, emphasized Sadhvi Sugandhi Bharti Ji, Preacher, DJJS Gwalior Branch as she unravelled the story of Mother Earth on the opening day of the workshop. The focus of the day was on understanding the state of environmental problem and its causes. It was a day of self-analysis, how our attitudes and ignorant behaviours contribute to the growing misery of mother earth. `The United Nations Environment Programme marks the fact that, to achieve sustainable development, involvement of children and youth stand essential. Practically realizing the same fact, the second day of the workshop focused on building a firm pro- environmental foundation in the children. 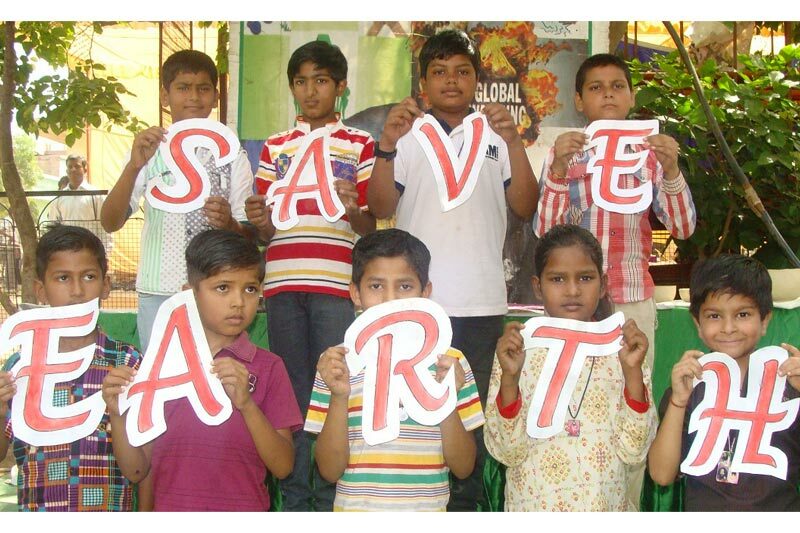 To make learning fun, a poster making competition was organised on the theme of ‘Save Earth Save Life’ followed by a group discussion on the most creative posters. “Now I know by turning off the tap while brushing my teeth, I can save water every day”, were the words of a young lad, after attending the session on ‘simple steps to save earth’. The closing of the workshop was marked by a day- long poster exhibition. 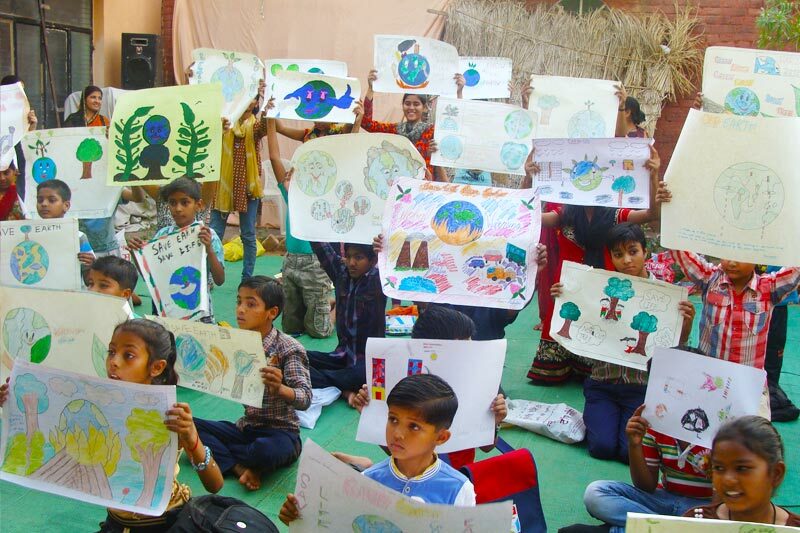 Children took a lead here in sensitizing the adults on the diverse environmental issues concerning the earth and motivating them towards simple changes in their daily lifestyles. Though the three day workshop ended, but on the occasion of 44th earth day, Sanrakshan successfully steered over 350 men, women and children towards pro- environmental action and sustainable living. But we are determined to lead them to change…and the journey goes on. IT’S OUR CHANCE TO SAVE THE EARTH.